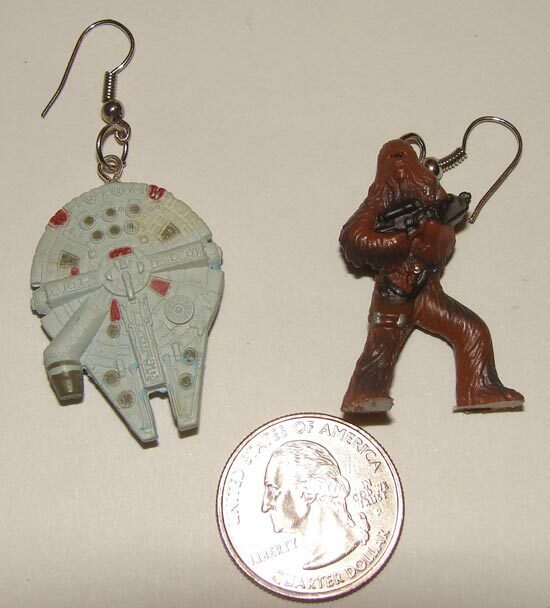 It’s not long until valentines day, some of you guys may have still not decided what to buy your geeky girlfriend or wife, if you don’t fancy getting them a set of Space Invaders earrings, then check out these fun Star Wars earrings. 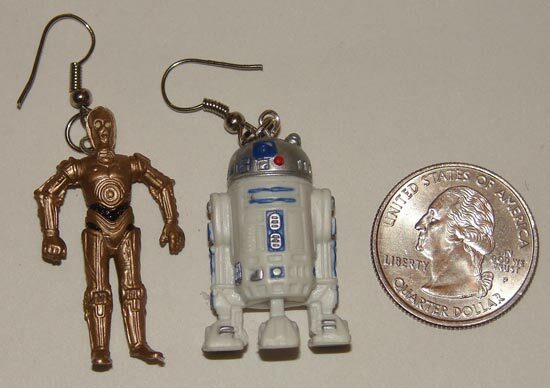 What could be better than a set of earrings made from everyone’s favourite droids, R2D2 and C3PO, or maybe a fun set featuring the Millennium Falcon and Chewbacca. 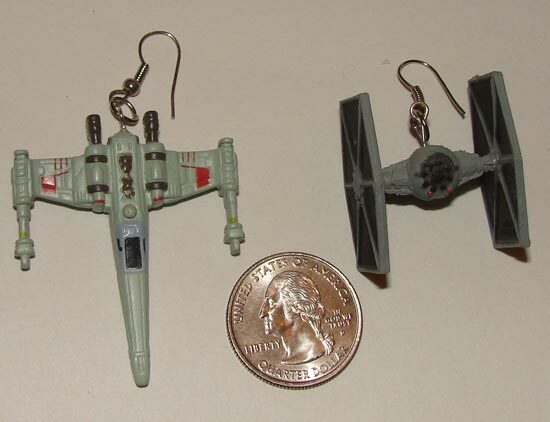 Also available is this fun X Wing and Tie Fighter set, all of these fun Star Wars earrings are made by Etsy seller Biggeek, each set is available for $5.95.